If a Hall Of Fame existed for financial beliefs, “market-timing is impossible” would rank right up there with “diversification is the only free lunch in finance.” These statements have been validated by a large volume of peer-reviewed academic studies, so it is widely believed that there is no need to question their legitimacy. Although the declining value of diversification was addressed in Diversification Can’t Cure Overvaluation Disease, this article concerns the issue of market-timing for investment portfolios. First, almost all investors are likely to agree that market-timing, as defined over short-term intervals and based on observed historical patterns, is impossible. In reality, financial markets are enormously complex systems in which a multitude of investors buy and sell in different magnitudes for different reasons on different days. On top of that, investors may respond (or be forced to respond) differently to a specific stimulus over time. 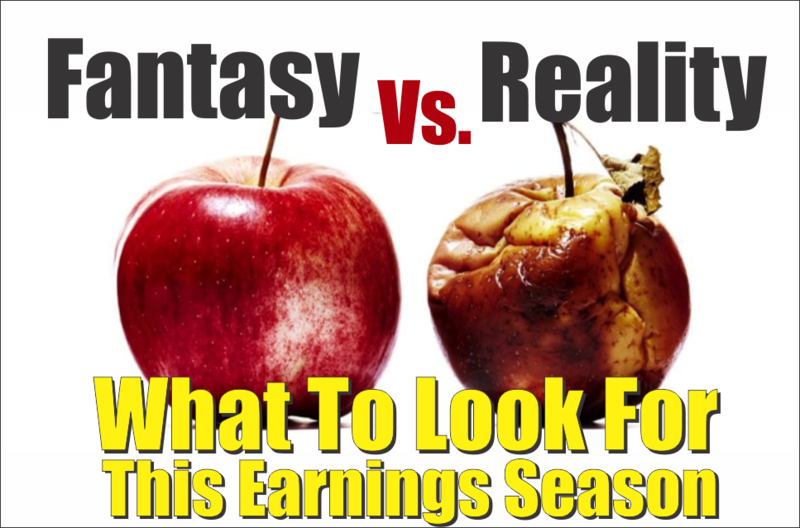 While some investors may be able to make excess profits based on known anomalies (e.g., seasonality, small capitalization, valuation, momentum) over long periods of time, even these anomalies are unreliable over shorter periods of time. If some investors can create excess short-term trading profits, they probably do so because of structural advantages (e.g., informational advantages of market-making, or detecting and front-running corporate buyback programs). If anyone can create short-term excess profits without those advantages, these precious few certainly don’t and won’t advertise how they achieve their success, which means the rest of us might as well continue to assume it is impossible. In contrast, the study of longer-term business cycles is valuable for the simple reason that business cycles drive capital markets cycles. Business cycles run for periods of years, not days, weeks, or months. So business cycle analysis is different from the common definition of market-timing because it is concerned with a much longer time horizon. It is difficult for anyone other than politicians to deny the existence of a business cycle, which includes both an expansion and a recession phase because they are a fact of economic life. A recent Goldman Sachs research piece not only acknowledges the existence of cycles but divides them into four phases and produces recommended asset allocations for each phase, as shown below. Goldman’s investment recommendation for 2018 is based on the belief that 2018 lies within Phase 3, in which the economy is operating above capacity and growing. More broadly, Goldman’s chart and table show that identifying the Phases is a crucial determinant of investment success. For example, if 2018 truly lies within Phase 4, cash and bonds would outperform commodities and equities. The Fed appears to agree with Goldman’s analysis of Phase 3, based on its simultaneous campaigns to lift the Fed Funds rate and to reduce the size of its bond holdings that were acquired during its QE experiment. In another admission that business cycles exist, Bank of America/Merrill Lynch (BAML) produces a monthly Fund Manager Survey, in which it asks the largest institutional investment managers a simple question; where are we in the business cycle? The results from the past decade are shown below. Beginning with the most recent results, a majority of institutional investors currently believe the global economy is “late-cycle” (gold line), which is an analog for Goldman’s Phase 3. In fact, this belief has been in existence since early 2016, and the belief has increased in popularity over the last six months or so. For most of the period from 2010-2016, a majority of investors believed “mid-cycle” (blue line) was the best description for the state of the global economy, which is an analog for Goldman’s Phase 2. In 2009, investors didn’t believe the economy was either in mid-cycle or late-cycle, a fact that will be addressed later in this article. In 2008, 70% of investors believed the global economy was in late-cycle, and relatively few believed the global economy was mid-cycle, which are similar to the current percentages. Summarizing the results of the chart above, the investors polled by BAML have thus far been largely correct in their assessment of the state of the global economy. They correctly identified the economy was late-cycle on the eve of the recession of 2008-09, correctly identified an upswing in the business cycle in early 2010. Whether they are correct that 2016-2018 is late-cycle (Phase 3) is plausible but remains to be seen. The BAML survey extends further back than 2008, so we can get a better idea of investors’ beliefs leading to the recession of 2008-09, as shown below. During these years, investors were given two other choices to describe the economy; early-cycle or recession. A majority of investors believed the economy was late-cycle beginning in 2005, with a peak in that belief occurring in late 2007 (thin black line), which coincided with a continuous decline in the percentage believing the economy was mid-cycle. During the period 2005-2007, almost no investors believed that the economy was in either in its early-cycle or recession. By late 2008, investors believed that a late-cycle economy was giving way to a period of recession, as shown by the decline in the black line and ascendance of the red line. By late 2009, a majority of investors began to describe the economy as early-cycle, as indicated by the ascendant green line. Summarizing, investors were largely correct in describing the state of the global economy in the years leading up to the recession. They began to believe the economy had moved into late-cycle by 2005, a couple of years before the recession struck in December 2007. By late 2008, they began to understand the economy was in recession, and by mid-2009, they understood the economy was early-cycle, which occurs after recessions. Furthermore, investors seem to firmly grasp the sequence of the phases of the business cycle, as evidenced by the sequential peaks in the black, red, green, and blue lines during the period of 2007-2012. That is, it makes sense that a peak in late-cycle would be followed by a recession, which would be followed by early-cycle and then mid-cycle. If Goldman is correct that the economy is in Phase 3, and the BAML investor survey is correct that the global economy has been in late-cycle since 2016, then the next stage of the business cycle will be a recession (Phase 4). However, the timing of a potential recession is uncertain. What isn’t uncertain and of utmost importance to investors is that the performance of asset classes is radically different in Phase 3 than in Phase 4. It is also not uncertain that economists will be blindsided by any impending recession, just as has occurred before all of the eleven post-WWII recessions. With the preceding knowledge, an investor should probably be reducing exposure to equities, precisely at a time when persuasive narratives exist to keep an equity investor in the game (e.g., great earnings reports, globally synchronized growth, fiscal stimulus, etc.). That is not easy to do. Can we get more specific on the timing? Interestingly, a majority of the BAML investor survey voted for late-cycle beginning in late 2005, or a couple of years ahead of the recession that began in late 2007. This time around, voting for late-cycle became a majority in early 2016, which is about two years ago. So, in each of these two periods, it isn’t a surprise to investors that the economic expansion is long in the tooth, or that a recession will be coming next. But it is unlikely that recessions will always follow precisely two years after investors declare a beginning to late-cycle. The question of timing can also be addressed by the fact that both periods (2005-2007 and 2016-2018) share a common fundamental characteristic; in both periods the Fed persistently raised interest rates while the price of crude oil more than doubled. Every single recession since 1970 has been preceded by a sharp rise in the cost of money and the cost of energy, as explained here (LINK). It appears that a rise in oil is perceived as inflationary by the Fed, which then raises rates to counteract inflation. But business owners and consumers, operating in the real world, see the rising costs of energy and interest on debt as costs they must offset by cutting other areas, whether that be in business expenses such as headcount or advertising, or discretionary consumption for consumers. That process sows the seeds of recession. On the other hand, it is possible that the economy will overcome sharp increases in short-term interest rates and oil prices, delaying the transition from Phase 3 to Phase 4, and extending the stock market advance. But given the historical record of recessions since 1970 and the investor survey results from 2005-2008, that is a low-probability bet. Another potential outcome is possible for investors who can implement hedging and/or short sales to their investment strategies. During both Phase 3 and 4, commodities outperform equities by ~15% per annum. If Goldman is correct that we are in Phase 3 on the way to Phase 4, AND if historical performance patterns hold, then a long commodities/short equities investment strategy might be rewarding. In that case, correctly identifying whether the economy is in Phase 3 or 4 is far more important than precisely timing the transition from Phase 3 to Phase 4. The increasing probability of recession should be reflected in the structure of investment portfolios, either by reducing equity exposure or by implementing a long commodity/short equity strategy. “GDP Growth Driving Rates Higher!” – Is That True? Peter Cook, CFA, has worked as a leader in the global investment industry for almost 30 years. He is an expert in how business cycles interact with financial market cycles, and has applied that expertise across asset classes in both traditional and alternative portfolio management.